Oil Field 24 Hour Alarm Monitoring & Emergency Response Dispatch Oxnard, CA. At BTE Communications, we provide affordable, high quality customizable 24-hour live answering services to businesses in Oxnard. Since 1958, our state-of-the-art call center has provided clients with a diverse range of services, from general customer service to alarm monitoring and emergency response coordination. Our live operators will answer your calls with courteous and professional service 24 hours a day, 365 days a year. BTE Communications has a large dedicated team of phone agents with over ten years of experience on average. They have been heavily screened and thoroughly trained to listen to customer needs while following a pre-approved script and typing in data accurately. They work with the latest CMC (computer-mediated communication) software, and can be trusted to provide customer service, information screening, inbound telemarketing, order taking, dispatching, message taking and delivery, reservation/scheduling, and virtual receptionist services. BTE Communications is proud to be associated with the Association of Teleservices International (ATSI) and Startel National Users Group (SNUG). Our excellent reputation in the industry is a testament to the care we put into each and every call we handle. We have served a diverse range of companies, including one-man businesses, hospitals, property management companies, municipal water and power companies, equipment rental companies, bail bond companies, law firms, doctor offices, dental offices, tow truck companies, and more. Call BTE Communications today. We look forward to hearing from you. In the case of an unexpected emergency in Oxnard, BTE Communications can help you coordinate the response you need to protect your employees, patrons, and property. Since 1958, BTE Communications has served numerous Oxnard oil drilling companies, gas companies, water and power companies, nuclear power plants, and mining companies with dependable alarm monitoring, dispatching, and callout services. Our emergency response coordination services are available 24 hours a day and are affordably priced. When you work with us, you'll be given a dedicated account manager who will assist you to create specific callout instructions for nearly every type of emergency that can happen at your site. Call today to learn more about our emergency response coordination services in Oxnard. BTE's inbound call center has become an integral part of contingency and emergency response plans for many Oxnard businesses. That's because BTE offers one of the best offsite alarm monitoring services in Kern County. Alarm monitoring can be set up quickly and work with nearly any pre-existing alarm system. Once set up, a call will come into our call center any time that your alarms are triggered. We'll monitor your alarms 24 hours a day and handle any emergency, such as a gas leak, fire, oil leak, tsunami warning, or flood, according to your pre-approved callout protocol. Call today for a free estimate on our alarm monitoring services in Oxnard. Rely on BTE Communications to provide the professional dispatching services your business in Oxnard needs. Our highly trained live operators are standing by 24 hours a day, 365 days a year to provide immediate dispatching and call routing service. From contacting field technicians to coordinating emergency response services, we'll communicate the necessary information to them via cell, two-way radio, or table all day, everyday, or just when you need afterhours coverage. At BTE Communications, our highly trained dispatchers are trained to answer your urgent calls with promptness and efficiency. Call us today to learn more about our affordable and easily customizable dispatching service for your business in Oxnard. Let us help your business drive more sales, develop customer profiles, provide easy access to information about products and orders, and increase customer satisfaction through the use of our order taking services in Oxnard. With our live operators, available 24 hours a day, 365 days a year, your business can maximize its revenue by giving all of your callers an exceptional ordering experience. We can also attempt to upsell your customers by promoting recommendations, promotions, or specials. 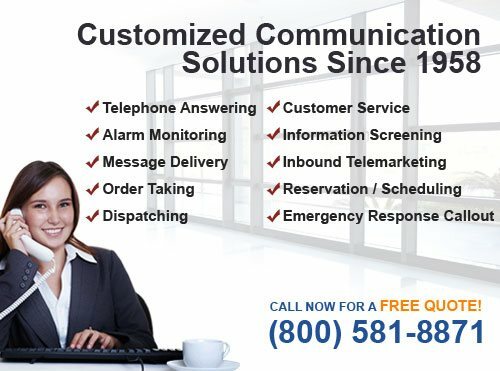 For all your order taking needs in Oxnard, rely on BTE Communications to provide the expert service your company needs. Since 1958, our 24-hour telephone answering company has served businesses in Oxnard with expert inbound telemarketing service. Whether your business needs assistance with television commercials, print ads, or internet marketing campaigns, you can trust the highly trained professionals at BTE Communications to administer surveys, answer questions, and accurately relay any product or service information. Our inbound telemarketing services have proven to be one of the most-effective alternatives to hiring and training your own telemarketing agents. Call BTE Communications today to learn more about how we can provide your Oxnard business with a team of professional inbound telemarketing specialists. BTE Communications offers advanced voicemail services to businesses in Oxnard. Voicemail services can include personalized voice mail boxes and trees with customized hold prompts, 24/7 access to voicemail messages, voice mail notifications or messages via text, email, or fax. We can also re-route urgent messages, forward them as they are received or batch them, and save messages as recorded audio files. 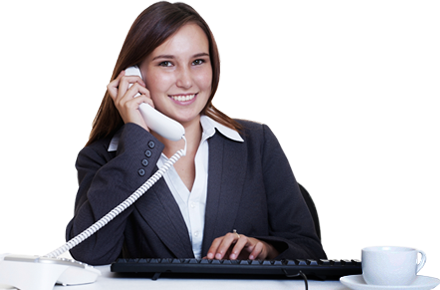 Call us today to have a voice mail plan tailored to your needs in Oxnard. 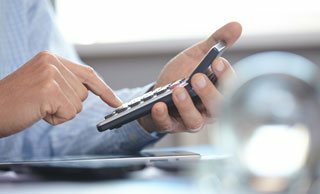 Your Oxnard business can have a successful customer service department on a small business budget when you partner with BTE Communications' phone answering service. Trust our highly trained customer service agents to expertly handle all your clients' questions and concerns with personalized care. Since 1958, our 24-hour call center has provided high-quality customer care departments to businesses in a variety of industries such as retail, law, medical, municipal, and more. We understand the importance of treating customers right, which is why all of our call are handled with courteous and professional service. Become more time efficient by letting our experienced phone agents handle all of your information screening needs in Oxnard. From hiring processes to tenant investigations, you can rely on us to accept your calls, ask your predetermined questions, and forward results to you on an ongoing or regularly scheduled basis. Having worked for over 50 years, BTE has the experience to provide you with the comprehensive and customizable information screening services your Oxnard business needs. BTE Communications provides scheduling and reservation services in Oxnard that are ideal for businesses of all sizes and types, such as medical and dental offices, corporate offices, real estate firms, marketing firms, and more. With the help of our highly trained agents, who are available 24 hours a day, 7 days a week, we'll answer your calls, answer customer questions according to your call script, and make reservations or schedule appointments in your shared calendar. To learn more, call today.